Oh my goodness, a stitching post!!! Last week I managed to put the finishing stitches into a birthday gift (the birthday is in a couple of days time) – and sees one of my Crazy January Challenge pieces finished (and likely to be the last one this year … that challenge is a total bust for me this year!). Then today I put the finishing touches into a Prairie Schooler freebie that I started weeks and weeks ago, plus another kitted up ornie that was sitting in the basket next to the bed ready to be stitched … as I am in a really lazy mood today, I opted to just pull that one out and stitch on it instead of finding another WIP that’s hiding elsewhere. 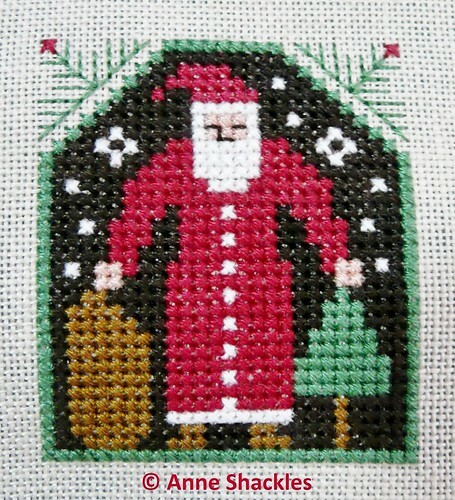 Anne S • This entry was posted in Christmas Ornaments, Cross Stitch, Finishes, Prairie Schooler. Bookmark the permalink. Its great to see you stitching again. Just love the bears. And what a stitching post this is! Congrats on finishing up these pieces. Those teddy bears are so cute and I love the PS ornie finish! All are lovely, but my favourite is the Santa freebie! The bears aren’t my usual style, but they are absolutely adorable! They look like they were fun to stitch, too; I usually enjoy doing projects with lots of small elements. 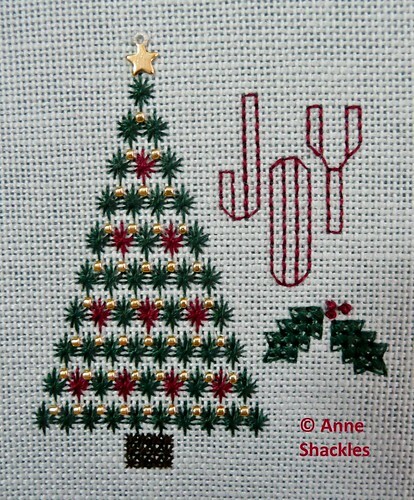 Hi Anne, it is good to see you haven’t abandoned your stitching altogether. Sharon and I were getting a tad worried! Gorgeous bears, and beautiful Christmas designs! Bears look great Anne as do your ornies! I think our get together day must have inspired me too as I have finished an ornament and started another since then!! Most I have stitched in months! It’s more stitching than I’ve done lately! Congratulations on your finishes! Hi Anne – thanks for joining the WIPocalypse. I’ve added you to the participant list. Looking forward to seeing more lovely updates throughout 2012!